Wednesday evening Suddcorp Solutions was invited to preview the new food court at Cadillac Fairview's Rideau Centre in downtown Ottawa that is to open Friday, August 1st at 11 A.M. We arrived at 5 P.M. to be treated to cocktails and hors d'ouevres presented by Tulips & Maple catering. With a glass of Jackson Triggs' Chardonnay in hand we ventured as far as we could go to see the new spacious food court. Several storefronts were still under construction like Green Rebel and Big Smoke Burger. While others, including A&W and KFC looked to be getting the final polish done. 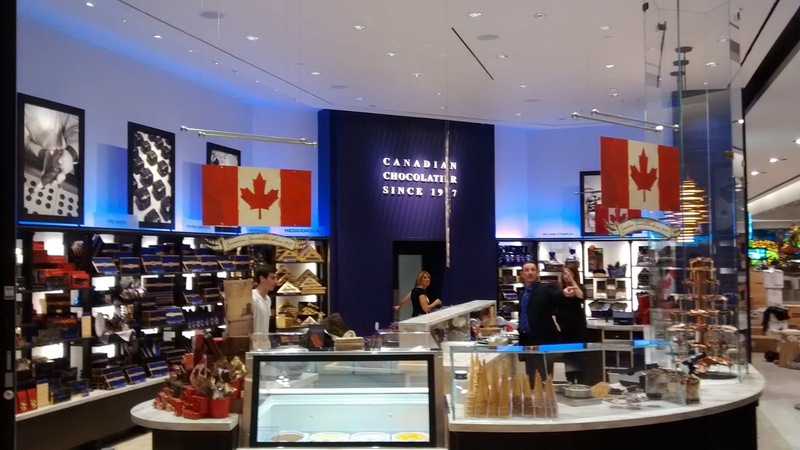 One of the most anticipated participant in the new Rideau Centre Food Court is Purdy's Chocolate who is opening it's first Ontario location. That evening Purdy's rolled out the welcome mat with a Master Chocolatier providing a live demonstration of how Rasberry Truffles are made by hand. Along with pictures with the mascot and a few samples, Purdy's seemed the most ready to welcome guests. 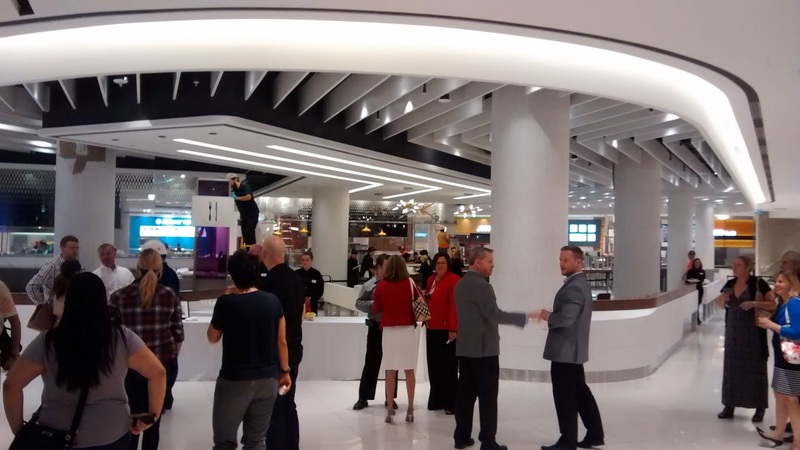 Overall, the new Rideau Centre Food Court is a significant improvement over the old one. 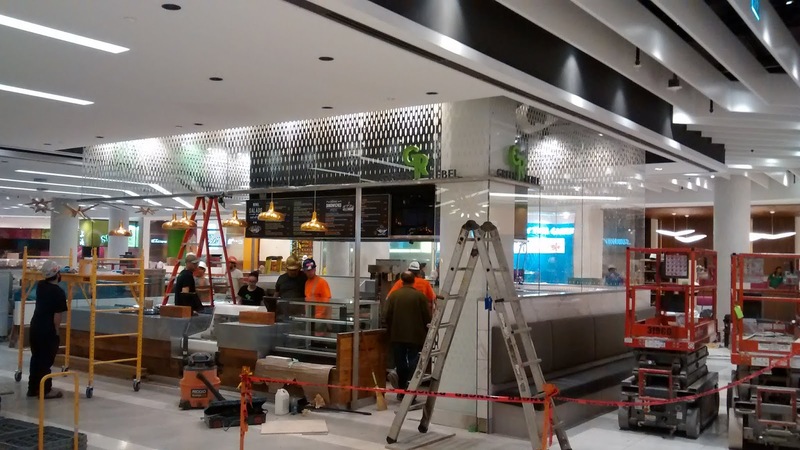 We could tell the new food court was a lot brighter and less dingier than the existing one that is closing at end of business July 31st for renovations. The main benefit of the new food court is it's size at twice the size of the old one meaning it will be easier to find a table at busy weekday lunch hours. With even more restaurant choices, with many new restaurants to Ottawa, customers will see an significant improvement to the traditional mall food court. For a complete listing of the new Rideau Centre Food Court restaurants visit this Ottawa Citizen article. 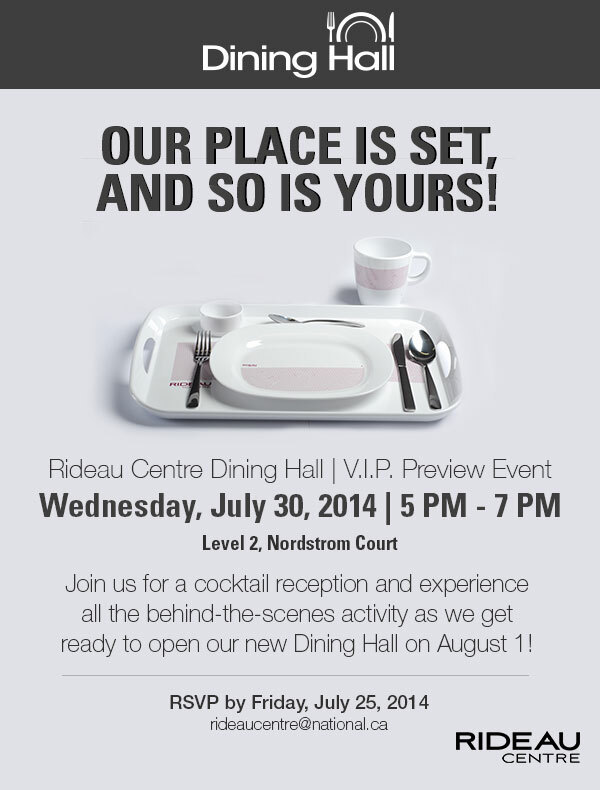 A big thank you to the Rideau Centre for inviting Suddcorp Solutions to this exciting preview event!